1952 Philco AM radio, fivetubes. Iconic 1950's styling. Case is without cracks or chips and looks great. Receives stations along the dial. 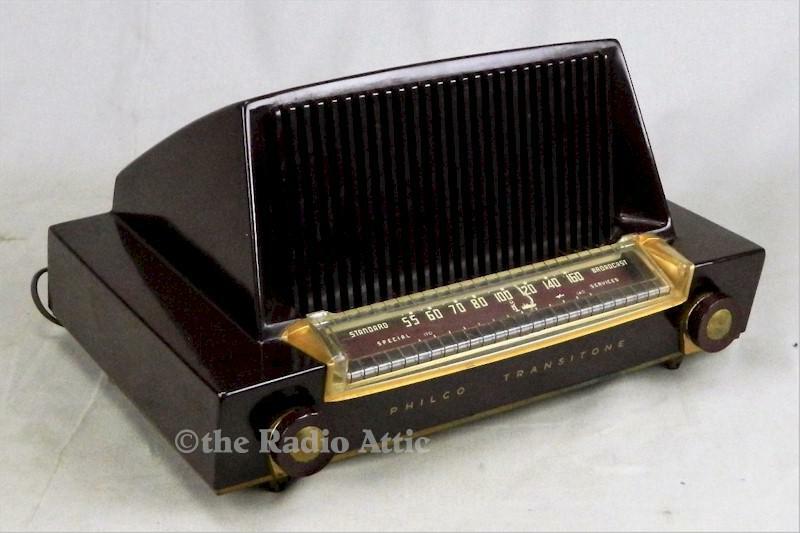 Just one of those radios with styling that captures the era perfectly. All components have been checked and replaced where bad or failing. Shipping is $25 withing the continental United States. 14"W x 9-1/2"H x 8"D.